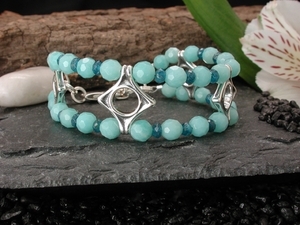 Wave links are suspended between two rows of alternating amazonite & apatite stones. This bracelet has some width but maintains an airiness to it as well. Lobster clasp. Sterling silver.